Convenient to things in the city, clean, and nice staff. I really liked this hotel and would definitely stay there again! 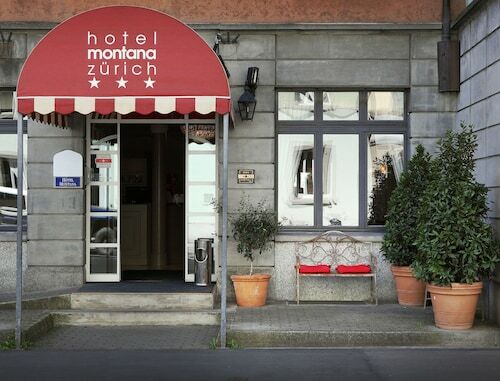 We had stayed elsewhere when last in Zurich but wanted to get closer to the train station for convenience. But we also wanted a certain level of comfort, too. This hotel has it all. Great service, lovely rooms and a fabulous breakfast. Wonderful shower and super clean towels and linens. Fast Wifi. Excellent breakfast with lots of variety. 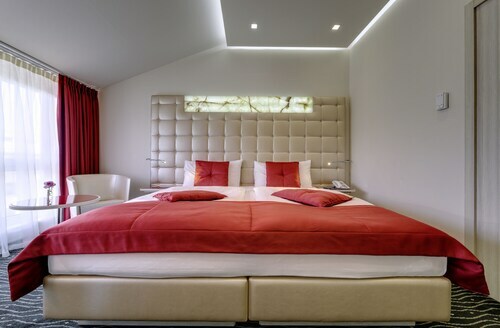 Located in Old Town, this luxury hotel is steps from Paradeplatz and Bahnhofstrasse. Zurich Town Hall and Kunsthaus Zurich are also within 15 minutes. Paradeplatz Tram Stop is only a 2-minute walk and Borsenstrasse Tram Stop is 2 minutes. 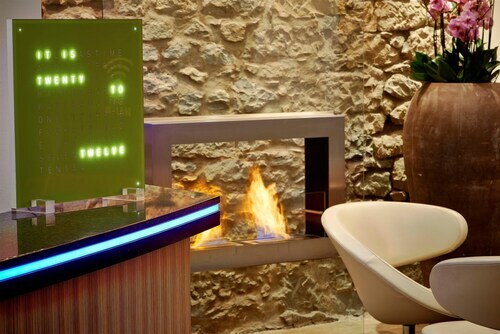 Located in Old Town, this hotel is within a 5-minute walk of Urania Observatory and Swiss National Museum. Bahnhofstrasse and Zurich Town Hall are also within 15 minutes. Bahnhofstrasse-HB Station and Zurich Center S-Bahn are within a 2-minute walk. Location was close to city center and train station. The staff was lovely and very helpful. 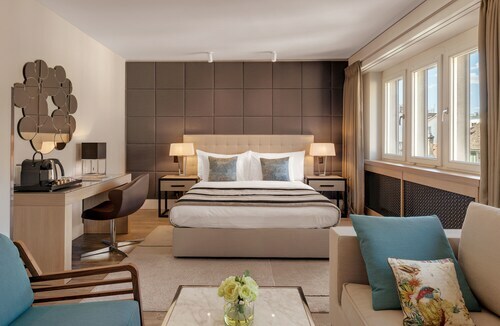 This family-friendly Zürich hotel is located in a shopping district, within a 10-minute walk of Urania Observatory and Bahnhofstrasse. Swiss National Museum and Kunsthaus Zurich are also within 1 mi (2 km). Rennweg Tram Stop is only a 2-minute walk and Sihlstrasse Tram Stop is 3 minutes. Very good location. Close to restaurants, shops, attractions and train station. Deepen your knowledge of the region's culture when you visit Museum Baerengasse. We're sure you won't need much convincing to go see it in Canton of Zurich, as it's a vibrant city to explore in its own right. With 47 accommodation options within an easy walk of Museum Baerengasse, even the fussiest of tourists are sure to have their needs met. 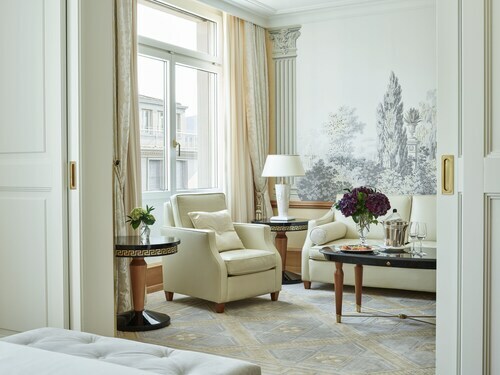 Once you are ready to begin your search, take a look at the Widder Hotel, Park Hyatt Zurich and ALDEN Suite Hotel Splügenschloss Zurich. You're not required to spend big to get a good room. The area's many budget hotels will be sure to provide you with all the facilities you need. The Statthotel, 0.4 miles (0.6 kilometers) away, and the Walhalla Guesthouse, 0.7 miles (1.1 kilometer) away, are two to get you started. Make your friends on Instagram jealous by spending a few nights at one of the upscale hotels that are not far away. 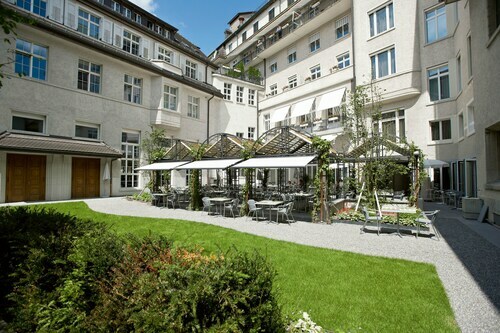 The Storchen Zurich is one of the top-rated places, situated 0.3 miles (0.5 kilometers) away. Alternatively, book a room at the Eden au Lac, 0.7 miles (1.1 kilometer) away. If you find yourself flagging, try to keep your senses alert with a kick of caffeine. Order one or two coffees from Kaffeehaus zur Weltkugel, just a short walk away. Also close by is Q-Up Thai Take-Away, a well-patronized establishment that serves up a variety of satisfying courses. If you're hungry for more, consider stopping for an alcoholic beverage at Vis-à-Vis. Enjoy a tour of Ethnographic Museum at the University of Zurich and learn about what makes up differing cultures. Wander through Paradeplatz, and try to visualize the scenes that played out there hundreds of years ago. Bahnhofstrasse is one of the best known streets here, go for a walk to see some of the notable spots here. If you don't mind a bit of education, go and check out what's displayed at Beyer Clock and Watch Museum. If you're hoping to find a place to contemplate the spiritual side of life, go to Augustinerkirche. To visit the Museum Baerengasse area, get on a train to Zürich Selnau, the most convenient station. Once you're there, it's only 0.3 miles (0.5 kilometers) away. You might also want to remember that another possible station, Zürich Enge, is also within walking distance, being only 0.5 miles (0.8 kilometers) away. How Much is a Hotel Room in Museum Baerengasse? 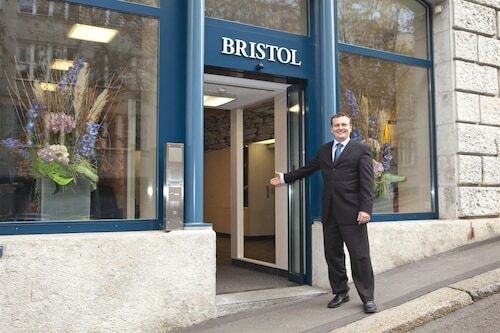 Hotels in Museum Baerengasse start at $131 per night. Prices and availability subject to change. Additional terms may apply.